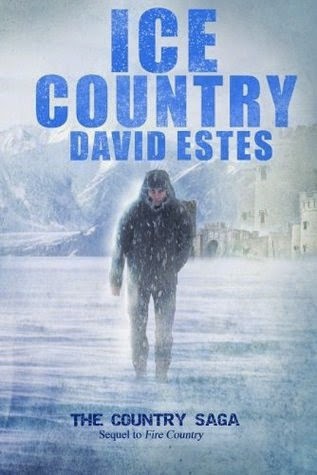 Ice Country by David Estes is the second book in The Country Saga. Available at Amazon. This is the second book in The Country Saga and I had problems getting into it because it doesn't pick up where the first book left off. The story is set in a new environment on the mountains at the edge of the Heaters desert with new characters from a community of Icers, who remained in the background of the first book. I took a break to get out of Siena's head and read a couple short stories by other authors before returning to this book with a fresh perspective. There's no language key, but it's not necessary after the first book established the pattern of subbing swear words for new slang: Heaters' slang revolves around fiery words while Icers' slang involves cold words. In many ways, this book is the opposite of the first book. Fire Country was slow to set up, with a majority of the action happening at the end of the book. Ice Country offers a continuous stream of action. Ice Country's main character, Dazz, is less introspective than Siena but both characters have a tendency to ask the same questions repeatedly without contriving solutions until they are forced into action. Eventually, we meet up with the gang from Fire Country and get answers for some of the questions lingering from the first book but, true to series-format, many of the answers only pose more questions and we have to read the next book in the series to find out the answers.